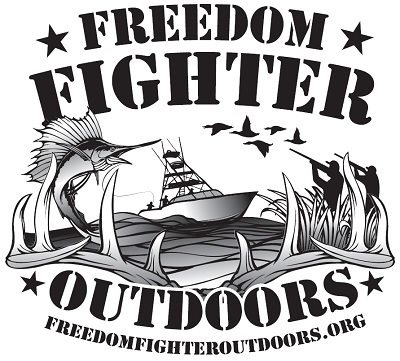 PLEASE SUPPORT FREEDOM FIGHTERS OUTDOORS. HELP WOUNDED VETERANS AND VETS WITH PTSD ENJOY THE GREAT OUTDOORS! Ansul Construction Company is a proud sponsor of Freedom Fighters Outdoors. I was so incredibly fortunate to meet Vinnie and Sarah LaSorsa, Founders of Freedom Fighters Outdoors, through a Captain I fish with in Montauk, NY. Freedom Fighters Outdoors is perhaps one of the most impactful organizations I have ever seen, exclusively developed and designed to help wounded veterans and veterans with PTSD. I have met a lot of fine people in my personal and business life, Vinnie and Sarah really rise to the top of that list. They are incredibly focused, selfless, kind and committed. I attended my first FFO Outing in June, it was in Montauk, NY, 24 veterans for three days of fishing and other activities. Wonderful dinners, in great settings, listening to the Veterans speak about the massive, positive impact that the FFO organization, Vinnie, Sarah and all of the Board Members have had on the quality of their post war/ post injury lives– brought tears to my eyes. These Veterans love FFO and all of the people involved because they know everyone is genuinely committed to help them, give them a get away from the daily struggles. Bond with fellow Veterans that have had very similar experiences. Something, we cannot do even with the best of our intentions. We can be supportive and try to listen, but we can never say I know how you feel, only someone who served can understand. These are the most deserving citizens of this fantastic country, we owe it to them to help continue to put this incredible network of people and Veterans together for fishing and hunting outings. FFO does this, bringing in Vets from all over the USA, all at the expense of FFO. Between 85%-92% of each dollar donated goes directly to airfare, hotel accommodations, transportation and food for each outing. The dollars go the Veterans benefit. Period!. Please help me, help this great organization continue their good work. Make a Vet smile, if even for a moment, it is a real gift! Donate to Freedom Fighters Outdoors. Whether it is a dollar or more, everything helps and every dollar is significant.